Atlanta Studies | J. Marshall Shepherd – Does Atlanta Create Its Own Rainstorms? 20 Jul J. Marshall Shepherd – Does Atlanta Create Its Own Rainstorms? Does Atlanta Create Its Own Rainstorms? Many types of weather systems and patterns cause rainfall in Atlanta. However, many people may be surprised to learn that the cityscape of Atlanta is likely modifying precipitation events as well during some parts of the year. A generation of studies since the 1970s has revealed what I refer to as the “Urban Rainfall Effect.”3 The casual reader may notice from weather reports that cities like Atlanta tend to be warmer than surrounding rural landscapes. This is called the Urban Heat Island. However, I suspect the Urban Rainfall Effect may be a new concept for many readers. 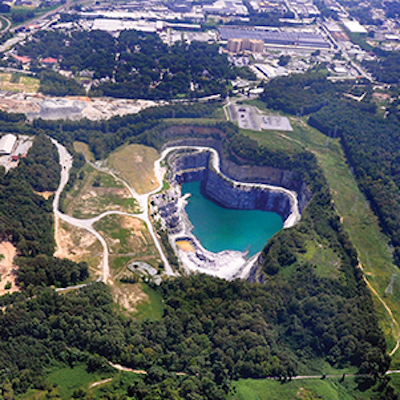 While it not be familiar to many, it has real world implications for Atlanta’s stormwater management, water supply, agricultural productivity, and city planning. Over the years, my research group has been one of the leading international groups studying the Urban Rainfall Effect and has published recent review articles on the topic.4 Other groups have also confirmed that urban landscapes and perhaps the pollution within cities create or alter rainstorms.5 In particular, Atlanta has been a long-time focus of many of these studies dating back to NASA’s Project Atlanta. Some of my first studies as a scientist at NASA focused on Atlanta as well but expanded to many other cities as we learned more. So, how exactly does a city create or modify rainstorms? 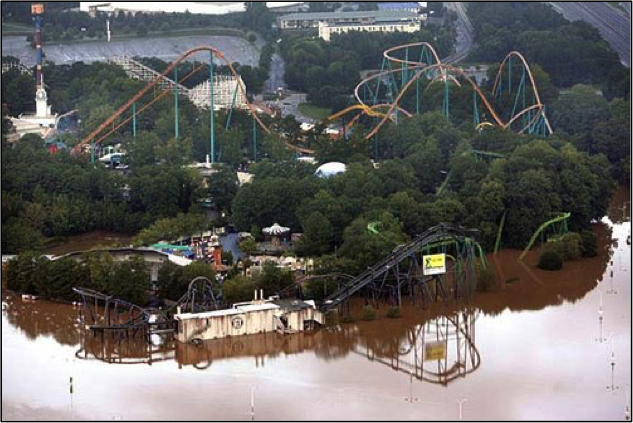 Six Flags Over Georgia Flooded in September 2009. (Source: NWS). Atlanta’s Heat Island Signature (Source: NASA/M. Shepherd). Typically, rain-producing storms form because of a combination of lift in the atmosphere, moist air, and a tendency for the air to keep rising once lifted (either by force or because of instability in the atmosphere). Further, cloud droplets must always form on some type of “seed” or condensation nucleus like dust, pollen, or other aerosol particles. The scientific literature has revealed that cities like Atlanta may enable some of these conditions, particularly in the warm season when the air is ripe for thunderstorm generation. Cities tend to be warmer because of the aforementioned urban heat island effect. This provides an environment conducive to rising motion and possibly even air circulations similar to those seen in places that have differences of temperature in close proximity (such as sea breeze circulations near the coast or mountain-valley breezes). Atlanta also has large buildings that can cause turbulent air flow and force it to rise. Cities also tend to be rich in pollution “particles” that can serve as condensation nuclei. A particularly interesting complementary aspect of the Urban Rainfall Effect is storm bifurcation. Some scholars have even found evidence that cities cause approaching storms to split. Many people often share with me their own experiences with storm bifurcation.6 The scientific community is still trying to identify what combination of these factors is most significant, however, mounting evidence clearly reveals an Urban Rainfall Effect. We (Jordan McLeod and Charles Konrad, Southeast Regional Climate Center, University of North Carolina and Marshall Shepherd, University of Georgia) recently published a paper in the journal Urban Climate examining rainfall patterns around the city of Atlanta.7 Using Doppler radar and rain gauge data over a thirteen year periods (2002–15), we examined the space and time rainfall patters during the warm season (June to August). We found statistically significant differences in the daily rainfall over and downwind (predominately east to northeast based on climatological wind data) of Atlanta. The “over and downwind” anomaly is very consistent with previous studies.8 We also found that under different wind directions, the rainfall anomaly can migrate to different parts of the Atlanta area. However, on average, the downwind area is east to northeast of Atlanta. 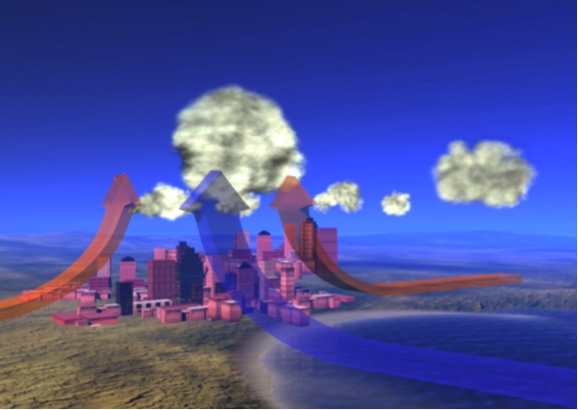 Weather modeling studies have shown that urban heat induces certain types of atmospheric circulations. (Source: NASA). The anomaly area to the northeast of Atlanta has been referred to by some investigators as the “Norcross Anomaly.”9 The pattern is clearly evident. We found that the urban rainfall effect is most evident in the early evening hours, and this is probably related to the accumulated heating of the surface or skin (e.g. the roads, pavement, etc.) heat island, which peaks in the daytime. The canopy layer or air temperature heat island tends to peak at night or in the early morning hours. Mean daily precipitation during meteorological summer (June to August) for years 2002-15. Dr. J. Marshall Shepherd is a leading international expert in weather and climate, Director of the University of Georgia’s Atmospheric Sciences Program and a Georgia Athletic Association Distinguished Professor in the Department of Geography. 1. ↵ Theresa Andersen and Marshall Shepherd, “Floods in a Changing Climate,” Geography Compass 7 (2013): 95–115. doi: 10.1111/gec3.12025; National Academies of Sciences, Engineering, and Medicine, Attribution of Extreme Weather Events in the Context of Climate Change (Washington, DC: The National Academies Press, 2016). 3. 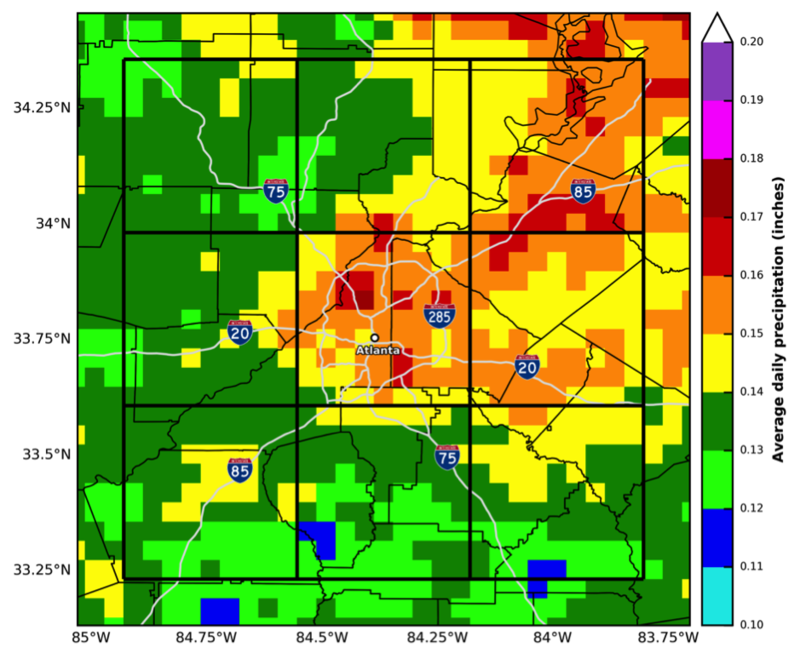 ↵ Jordan McLeod, Marshall Shepherd, and Charles Konrad, “Spatio-Temporal Rainfall Patterns Around Atlanta, Georgia and Possible Relationships to Urban Land Cover,” Urban Climate (In Press). 4. ↵ Chandana Mitra and Marshall Shepherd, “Urban Precipitation: A Global Perspective,” in The Routledge Handbook of Urbanization and Global Environment Change, ed. Karen C. Seto, William D. Solecki and Corrie A. Griffith (New York: Routledge, 2016), 152-68.; Marshall Shepherd, “Impacts of Urbanization on Precipitation and Storms: Physical Insights and Vulnerabilities,” in Climate Vulnerability: Understanding and Addressing Threats to Essential Resources, ed. Roger Pielke Sr (New York: Elsevier, 2013), 109-25. 5. ↵ Alex Haberlie, Walker Ashley, and Thomas Pingel, “The Effect of urbanization on the climatology of thunderstorm initiation,” Quarterly Journal of the Royal Meteorological Society, 141, 688 (2015): 663-75. 6. ↵ D. Niyogi, P. Pyle, M. Lei, S. Arya, C. Kishtawal, M. Shepherd, F. Chen, and B. Wolfe, “Urban Modification of Thunderstorms: An Observational Storm Climatology and Model Case Study for the Indianapolis Urban Region,” Journal of Applied Meteorology and Climatology 50 (2011): 1129–44. doi: 10.1175/2010JAMC1836.1. ; D. Niyogi, M. Lei, C. Kishtawal, P. Schmid, and M. Shepherd, “Urbanization Impacts on the Summer Heavy Rainfall Climatology over the Eastern United States,” Earth Interactions. In Press. 7. ↵ J. McLeod, M. Shepherd and C. Konrad, “Spatio-Temporal Rainfall Patterns Around Atlanta, Georgia and Possible Relationships to Urban Land Cover,” Urban Climate (In Press). 8. ↵ T. Mote, M. Lacke, and M. Shepherd JM, “Radar Signatures of the Urban Effect on Precipitation Distribution: a Case Study for Atlanta, Georgia,” Geophysical Research Letters 34 (2007), L20710, doi:10.1029/2007GL031903. 9. ↵ J. Diem, and T. Mote, “Interepochal Changes in Summer Precipitation in the Southeastern United States: Evidence of Possible Urban Effects near Atlanta, Georgia,” Journal of Applied Meteorology 44 (2005): 717–30. 10. ↵ M. Shepherd, A. Grundstein, and T. Mote, “Quantifying the Contribution of Tropical Cyclones to Extreme Rainfall Along the Coastal Southeastern United States,” Geophysical Research Letters 34 (2007), doi: 10.1029/2007GL031694. 11. ↵ J. Stallins, J. Carpenter, M. Bentley, W. Ashley, and J. Mulholland JA, “Weekend–Weekday Aerosols and Geographic Variability in Cloud-to-ground Lightning for the Urban Region of Atlanta, Georgia, USA,” Regional Environmental Change 13 (2013): 137–51, doi:10.1007/s10113-012-0327-0. 12. 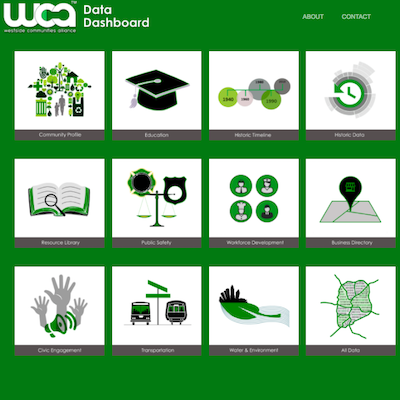 ↵ Committee on Urban Meteorology: Scoping the Problem, Defining the Needs, National Research Council. Urban Meteorology: Forecasting, Monitoring, and Meeting Users’ Needs (Washington, D.C.: The National Academies Press, 2012).